TPD officials caved and allowed TUSD dictate police policy. Keep in mind TUSD receives federal funding for each body in the schools, approximately 60,000 at this time, legal or not. The only requirement to enroll in a TUSD school is a birth certificate. Issuing country is irrelevant. 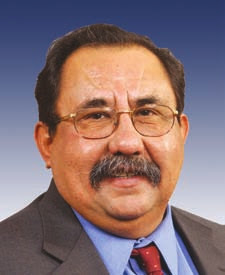 began his political career in 1974 on TUSD’s board; the legacy is being continued by his daughter, Adelita Grijalva. Friday, November 9, 2007, saw a moderate sized protest by legal citizens, taxpayers of Tucson, lawfully protesting TPD caving into TUSD and petitioned TPD rescind the new policy. Are you all up to speed? Good, because it gets better. Tonight marked the inaugural meeting of the new city council (all Democrat, except for the Mayor–the sole Republican). The taxpayers were notified of this city council meeting. The agenda didn’t want to deal with the protests or the concerns of the taxpaying, legal residents. It was more important to talk about leash laws. However, since Friday, Pfeuffer decided that under no circumstances would TPD be called to any school campus. Let that sink in a moment. Under. No. Circumstances. None. Zero. Zip. Nada. No cops on any school campus for any reason whatsoever. TUSD has also declared the same for Border Patrol. Tucson citizens, the legal ones, are HOWLING pissed! We could have a Columbine incident on one of our campuses and the police would not be called. Rather than enforce the laws, rather than listen to the people who pay their salaries through our taxes, a bunch of snot nosed brats have gotten their way. The pro-illegal movement appears to have won. Not quite. Parents, who understand the school district gets federal funds for each student enrolled, decided today to start yanking their children out of TUSD schools. Those children are staying home until their parents find charter schools with space for them–charter schools NOT under the direction of TUSD. In the meantime, citizens are starting to take down license plates of vehicles from out of the country. Particularly on TUSD campuses, driven by students. Now, why would we do that? Well, if a student is driving an out of country vehicle, it’s obvious the car has not been emissioned, taxed and paid for in Arizona. Those are Arizona tax dollars not being gathered. If TUSD won’t allow the police to be called BY THE SCHOOLS (because TPD would then call Border Patrol), there is NOTHING stopping the citizens from calling Border Patrol and ICE. It’s only the police whose hands have been tied, not the citizens. We’ve even found out TPD has been ordered NOT to stop out of country cars for traffic violations. It leads to “profiling” accusations. But it doesn’t stop the citizens. In doing a quick cruise through my children’s charter school parking lot this morning, I counted 3 out of country license plates–in the student parking lot. This school is not under the direction of TUSD. I’m not a police officer. I’m not a Border Patrol or ICE agent. I AM a taxpaying citizen. And I do have ICE, Border Patrol and TPD on my cell phone speed dial (don’t worry, I use a hands-free device–drive safely!). I also have a pad and pen in my car to jot down license plate numbers and vehicle descriptions. It appears the Tucson sector is about to get very busy indeed. I am a taxpaying, legal citizen. And I’ve had enough. I’ve had enough of subsidizing the illegals in my community through the legal system after their wrecks and dui’s and assaults. I’ve had enough of my taxes paying for their education and medical care. I’ve had enough of the hospital emergency room overcrowding because of the abuse of the medical system here. I’ve had enough of the accomodations given to the illegals (did you catch the kid’s age and grade? 17 and a FRESHMAN?). I’ve had enough of wondering how I’ll pay for my children’s college while they get grants, loans and in-state tuition. I’ve had enough. Guess it’s time I start demanding my officials start enforcing the laws on the books. If the police will let a bunch of snot nosed kids dictate policy, if TUSD has decided it’s an island that doesn’t need the police, I and many other citizens here have decided to let our fingers do the walking.